1. Preheat oven to 375 degrees. Line a 12 cup muffin tin with liners or grease with nonstick cooking spray. Set aside. 2. In a medium bowl or liquid measuring cup, whisk together the yogurt, milk, egg, vanilla, and honey. 3. In a large bowl, whisk together the oats, flour, baking powder, baking soda, cinnamon, and salt. Add the blueberries and toss to combine. 4. Add the yogurt mixture and the melted butter to the dry ingredients, and stir until just combined. (don't overmix) 5. Portion the batter evenly among the muffin cups. Bake for 14-17 minutes until the tops spring back lightly to the touch. 6. Let the muffins cool, and enjoy! 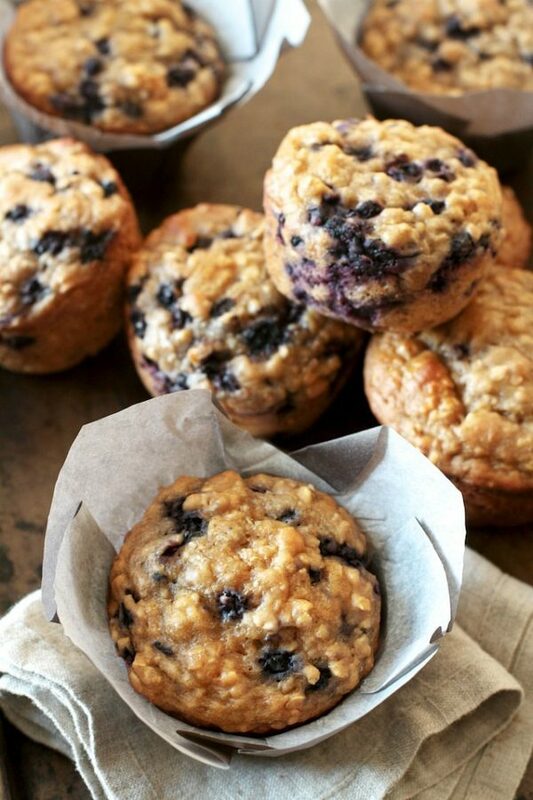 These muffins freeze well or keep at room temperature for a few days.